I've been making political art since 1975, when I studied silk-screened printmaking at the School of the Art Institute of Chicago. I've been especially engaged in creating new designs since the devastating election of November 2016. 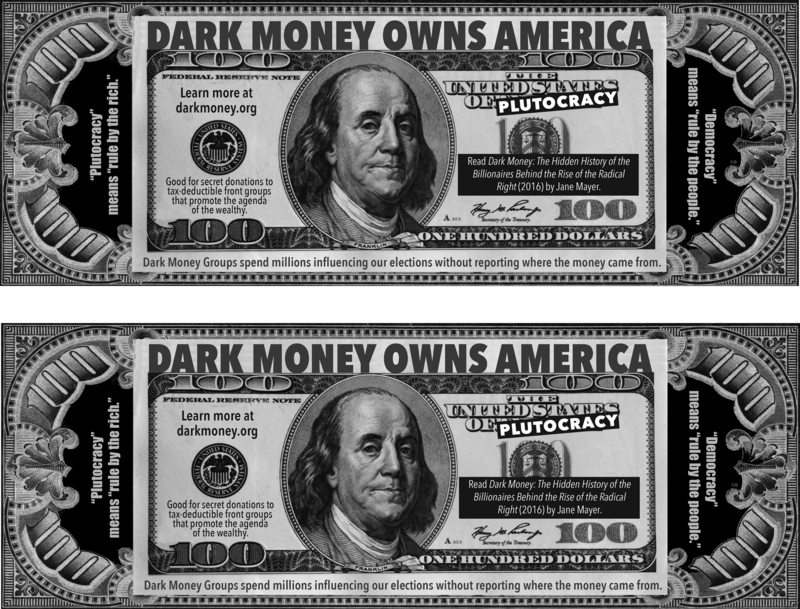 I created the Dark Money hand-outs above to distribute at the Mendocino 4th of July parade in 2017. 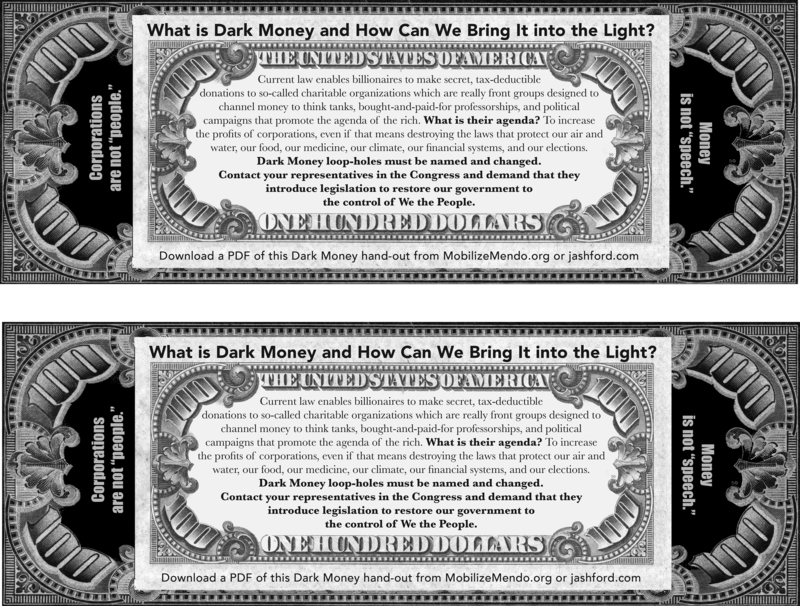 To print your own, download free, printable jpgs for the Dark Money front and Dark Money back. The graphics are set up to print 2-up on both sides of a letter-sized sheet. The five Earth Day Is Now posters in the slide show below were created to promote Earth Day 2017. If you'd like to order one, write a check for $20 for the poster and shipping and send to Janet Ashford, 10377 Nichols Lane, Mendocino, CA 95460. The posters are 11 x 17 inches, printed on heavyweight paper. I took each of the photographs in Mendocino County. Contact me at jashford@jashford.com to discuss using any of my poster images in our continuing effort to #resist.